Sometimes, I think about the cost of the agitprop contained in many health “reports,” like the latest Stanford, Johns Hopkins, and UCal Berkeley Studies. If we were ever able to compute the total amounts of grants paid to universities and its professors per year, it would be billions and billions. On the other hand, I am having a hard time attributing any real health or environmental benefits accruing to the US from these studies. A familiar team of researchers from Johns Hopkins University, in collaboration with the University of California, Berkeley (UC Berkeley), has released yet another study trying to link fracking to health ailments. This time the research team — which includes a fellow at the Post Carbon Institute, an anti-fossil fuel organization that has called fracking a “virus” — claims to find that people who live with the highest level of exposure to oil and natural gas development are 1.5 times more likely to be mildly depressed than those who experience the lowest level of nearby development. 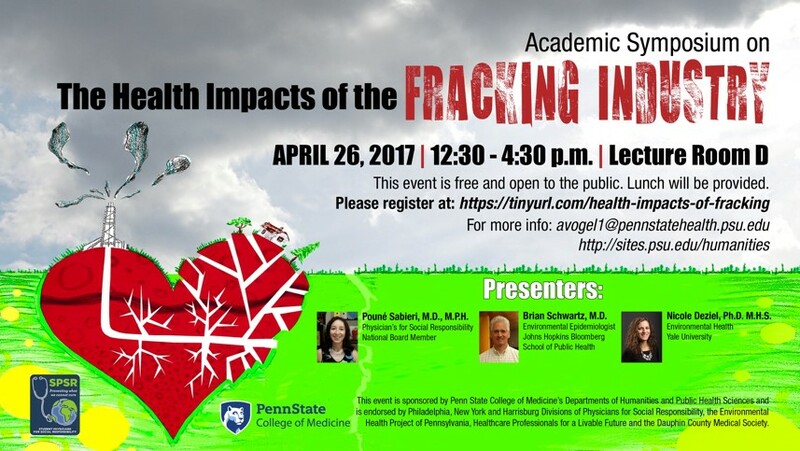 In the past, the team has claimed its research establishes links between fracking and increased asthma, premature births, sinus conditions, migraines, fatigue and radon in Pennsylvania homes, despite failing to take measurements that would prove concentration and exposure levels that would establish a causal link between shale development and negative health outcomes. That work has been criticized for making “unwarranted causal interpretation of associational results,” and this effort seems destined to garner similar backlash. The researchers took no measurements demonstrating burdens, concentrations or exposure to establish a causal link between fracking and depression. As is the case with nearly every study on health impacts from fracking, including this research team’s previous studies, this latest study jumps from “fracking is happening in the area” to “fracking is harming health” without ever showing how it’s allegedly doing so. In other words, they provide no causal evidence, and even admit so in the study. “I think we’ve probably now done enough epidemiological studies showing the links between unconventional natural gas extraction and health. The next step will be to tease apart what our exposure pathways are. This latest from Johns Hopkins is yet another of these studies that makes it “difficult to have certainty” because it is simply a hypothesis generating study. Meanwhile, studies that have taken actual air emissions measurements and sampled water quality show that the shale development process is protective of public health. The study relied on a previously conducted survey, which had very limited participation from residents of shale counties. They started by sending the survey to 23,700 people, and for the nasal and sinus study had a sample size of 7,785 participants. Of those, only 336 respondents actually hailed from the top five shale counties – counties with significant development – included in the study area. Blue dots represent actual cases of nasal and sinus issues; black dots are controls. In the study on depression, that sampling size – with no new respondents from shale counties – was reduced to 4,932 participants. Unfortunately, in this latest study the researchers did not include a county breakdown or go into further detail about its respondents, but based on the information provided in the previous study, a mere 6.8 percent or fewer of the participants resided in counties with heavy shale development. Further, as Table 1 from the study shows, 60 percent of respondents said they had no symptoms of depression regardless of proximity to shale development. In fact, based on this chart of those who appeared to live near heavy shale development, 58 percent of respondents said they had no resulting symptoms, 22.5 percent said they had mild symptoms, 10 percent had moderate symptoms, six percent had severe symptoms and 3.5 percent gave no response. The study does not account for any other factors that could be causing depression in these communities. The study has several limitations, both listed and not acknowledged in the text, but it’s clear in reading the limitations the researchers do acknowledge that there was a pre-determined conclusion that fracking is the cause of changes in the data. For example, the researchers even credit royalty payments from lease agreements as being the reason some people did not experience depression. But here’s the thing. Like anywhere else, here in Pennsylvania we do not live in a bubble. Shale development has become a major and important part of our lives – directly for some and indirectly for others – but it is not the only thing happening in the state or even in counties with a lot of development. Casey told EHN that they didn’t know if it was air or noise pollution from fracking causing the increases in depression – an unlikely scenario considering studies of actual emissions measurements taken near well sites show emissions are protective of public health – but what about other factors that have nothing to do with oil and natural gas? For instance, E&E News recently reported on a major issue that is impacting rural counties: the drop in price of milk and decline of dairy farms. Somewhat ironically, considering this study suggests widespread fracking-induced melancholy in rural Pa. shale counties, E&E chronicled how shale has saved farms and lifted spirits in the Commonwealth, while the opposite has occurred in New York, where fracking has been banned. But that’s not to say that Pennsylvania’s farms have gone completely unscathed. In May, several farms across the state risked closure from a sudden loss of a long-term buyer – something that could absolutely impact the mental health of a community. In fact, low prices, decreased consumption and a changing market have led to increased suicide rates for farmers across the country. And while the added revenue from shale has helped rural communities in Pennsylvania, even providing needed funding to build hospitals, these improvements take time. As mentioned earlier, one of the study’s lead researchers, Brian Schwartz, is a fellow at the Post Carbon Institute, a group known for espousing discredited “peak-oil” views and, it just so happens, has called fracking a “virus” and states as its mission to eliminate fossil fuels altogether. The following promotional flyer from a symposium Schwartz participated in last year speaks volumes regarding his anti-fracking agenda. Notably, this event was “endorsed” by multiple divisions of Physicians for Social Responsibility, a group that is funded by the anti-fracking Park Foundation and has a stated goal of banning fracking. It is also worth noting that the study was published in a journal that has faced heavy criticism over its peer-review process and had an incident where it did not retract a paper accused of plagiarism until 12 members of the editorial board resigned. The bottom line is this: The authors of this study admittedly found no actual link between shale development and depression. They admittedly couldn’t have because they took no measurements. Worse yet, the researchers failed to consider any other possibility for why these communities may be experiencing increased mild depression, instead concluding fracking “could” and “may” be to blame. At the end of the day, that’s not science, it’s blatant anti-fracking advocacy.